In December 17, 1903 when Wright brothers build first aircraft,it became discovery, that changed the world completely.They build fixed wing aircraft which is capable of flight using wings that generate lift due to the vehicle’s forward airspeed and the shape of the wings.In last century though, everything improved from design of aircraft, fuel efficiency and power of engine but aircraft fuel which is most important has not changed and become leading cause of global warming. If you read airplane history, you would find that human need and desire of flying is more powerful than flying with renewable energy.So, focus in last century was only on designing and improving efficiency of engine and not on changing its fuel. In last decade, awareness of general public about climate change has increase significantly. With this awareness and fuel price that are rising at rocket speed creates catastrophic effect, which pressurizes us to think about alternate fuel for aircraft and one of these alternates is Solar Energy, which we are going to discuss today. Yes it is, recently Swiss made Solar Powered Plane, Solar Impulse completed its 4000 miles journey between Europe and Africa successfully. You can read more about it at news website msnbc. What’s the need of building solar powered RC planes? When we think of building our plane, we know that because of financial and knowledge constraint we can only build models and small planes as our engineering project. We already discussed about RC planes in Aeronautical Projects Post . 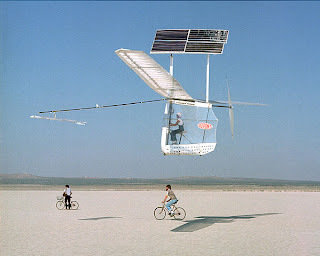 Solar Powered RC Plane is extension of that post. Most of you know that planes are the biggest polluter of the world. In a series of steps we need to tackle global warming , solar rc planes could be vital.